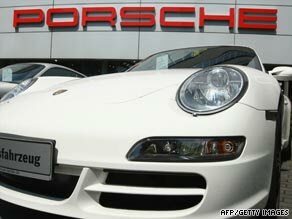 The Qatar Investment Authority makes a multi-billion dollar offer for a large stake in Porsche. The Qatar Investment Authority makes a multi-billion dollar offer for a large stake in Porsche, a company that's plagued with $12 billion of debt. But, as the global auto industry tries to ride out the downturn, is the Porsche offer a good investment or just a bid for a prestige brand? MME looks at why Middle East buyers are seeking European car makers. It's one of the world's largest producers of natural gas and like many of its neighbors, Qatar's economy today is heavily dependent on energy. So, how does it plan to build an economy with zero dependence on hydrocarbons by 2020? MME speaks to Qatar's Finance Minister about his country's investment strategies, plans for diversification and how they sustain rapid economic growth amidst a global crisis.